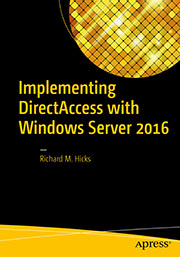 Microsoft DirectAccess Connectivity Assistant 2.0 Now Available | Richard M. Hicks Consulting, Inc. 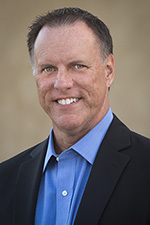 Recently Microsoft announced the availability of the DirectAccess Connectivity Assistant (DCA) v2.0. 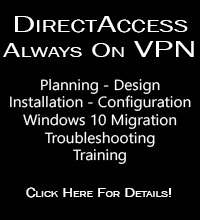 DCA v2.0 is required to be installed on Windows 7 DirectAccess clients when they are connecting to a DirectAccess Server running Windows Server 2012. It is important to note that DCA v2.0 is not required (and should not be installed) on Windows 8 DirectAccess clients. In addition, DCA v2.0 should not be installed on Windows 7 DirectAccess clients when they are connecting to a Windows Server 2008 R2/Forefront UAG 2010 DirectAccess server. For Windows 7 DirectAccess clients accessing corporate network resources over Windows Server 2008 R2/Forefront UAG 2010, install DCA v1.5. DCA v1.5 can be found on the Forefront UAG server at C:\Program Files\Microsoft Forefront Unified Access Gateway\common\bin\da\dca. The DCA provides DirectAccess users with connectivity status information, detailed diagnostics and troubleshooting, and is required to support One-Time Password (OTP) authentication. You can download DCA v2.0 here. One Question; After installing DCA 2.0 in Windows 7, (in 2012 Direct Access environment) – do we have to configure those GPO settings (as per DCA 2.0 documentation) & apply to Windows 7 clients directly? Seems like they are same set of setting coming thru 2012 Direct Access Client GPO Settings. I believe so, yes. I’ve not tested a Windows 7 client with DCA 2.0 and Windows Server 2012 DirectAccess yet, so I’m not sure if it would work. You could certainly give it a try and see what happens. 🙂 If it doesn’t work, apply the DCA 2.0 specific GPOs to your Windows 7 DirectAccess clients and you should be fine after that.